Garden ponds are an attractive feature that with a little thought and planning can be a haven for wildlife. 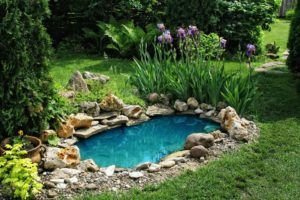 The last 10 years have seen an explosion in garden ponds thanks to the availability of fiber glass ponds. Understandably this may not be the first thing on your mind when planning a garden pond but with 70% of natural ponds during the past century having been lost from the UK countryside, it is hopefully something that more people will consider.